Horrible! Pet Dog Hung By It’s Neck Out The Window as Punishment! Warning, this story is not for the faint of heart. 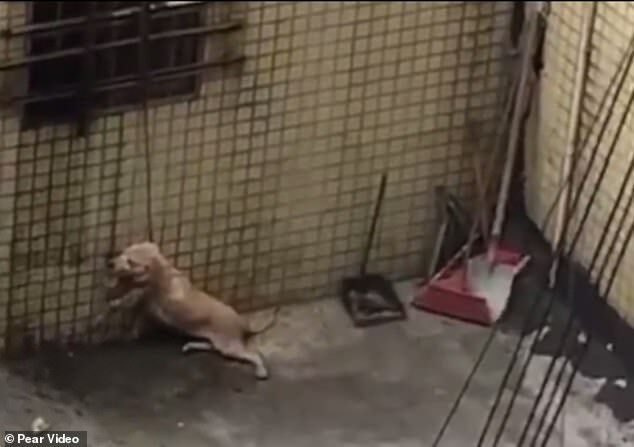 An animal rights group in south China was alerted to a horrific act of animal cruelty this week, when someone reported a dog being hung by its neck out the window. The dog, who was being disciplined for ‘soiling the house‘ could barely keep its feet on the ground, and was utterly unable to lie down. In this heartbreaking footage of the incident, rescuers arrive after a getting a call from concerned neighbors. Upon arrival they find the dog in dire straights, it’s neck so injured it couldn’t even lift its head for water. The owner arrived to stop the animal rights group from taking the dog, but relented when the group said they would only be taking the animal to the vet. ‘For the sake of the animal’s well-being, PETA strongly suggests him to give up the puppy and allow animal rights volunteers to take better care of it,’ he said. The news is not insignificant, given China’s most recent legislative session, where a bill was introduced which would give dogs a new, wide-ranging suite of protections. In the world’s most populated country, things are already changing for the better in terms of animal and environmental policy. As China emerges on the world stages, stories like this one, of old traditions and modern morals will continue being told. Interested in Animal Justice? 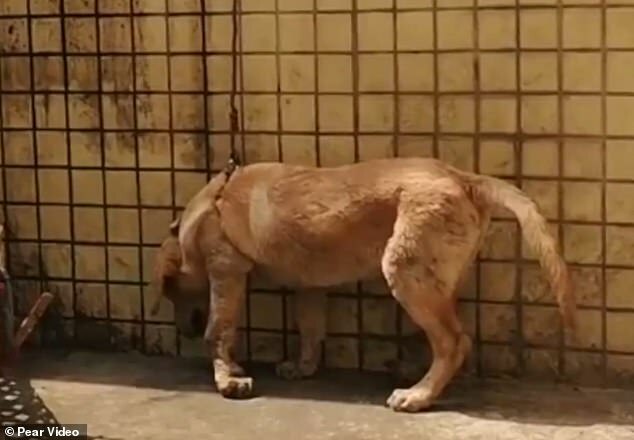 Check out China Takes Major Step in The Fight Against Dog Meat! For more Animal, Life, Vegan Food, Health, and Recipe content published daily, don’t forget to subscribe to the One Green Planet Newsletter! Just unbelievable how cowardly bullies pick on any being who cannot fight back. This human bottom feeder needs to pick on somebody his own size. Stories like this make you despise the human race.